C.T. Flynn, MD, explores the role of medical ethics in contemporary society. 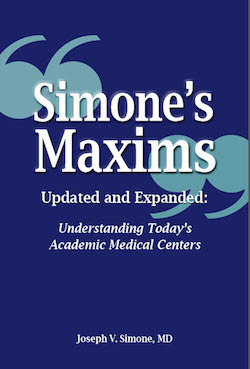 Dr. Flynn reviews the personal histories of Schweitzer, Nightingale, Hippocrates, Percival, and Oster, the lives and accomplishments of whom are exemplary in terms of ethics and morality. The author also discusses the relationship of science and technology to the prevention of illness and examines the physician as entrepreneur. Evolving Medical Ethics and Justice concludes with a consideration of spirituality as the ultimate foundation of ethics. 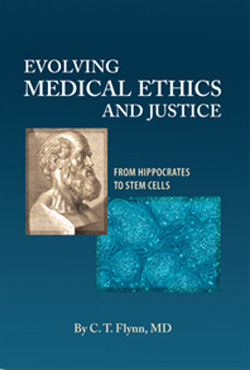 Evolving Medical Ethics and Justice offers readers an important treatment of issues that are at the core of the medical profession and the field of health care today. C. T. Flynn is a physician whose professional life has been spent in the scientific application of artificial organs to the worthwhile extension of life for sufferers from life-threatening organ failure. Without the science no effective measures can be found. Without a society able and willing to support such science, nothing can be put into practice. Without a sense of the worth of human existence, without love, without compassion, the application of science would be meaningless. As Spinoza said, “But all noble things are as difficult as they are rare.” Now happily retired from the fray, the author has pondered on his own experiences and how to make spiritual sense of it all.